Harman set to buy B&O automotive business for €145 million | What Hi-Fi? 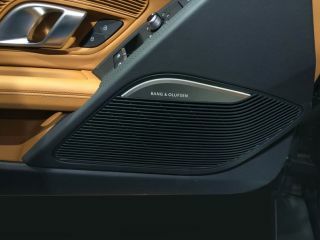 The Harman group, which includes established brands such as Harman-Kardon, JBL, Infinity and Mark Levinson, is about to seal a deal to buy Bang & Olufsen's entire automotive business. The deal is worth an estimated €145 million, plus additional payments for an exclusive license for Harman to use the Bang & Olufsen and B&O Play brands within the automotive industry. According to a statement from Harman, the group will "assume all Bang & Olufsen Automotive customer programs, while all B&O Automotive development and production resources will be transferred to Harman". We've experienced of a number of B&O in-car systems in the past, such as those fitted to the Aston Martin Vanquish and Audi TT. In fact, just a few weeks ago, B&O announced three new systems, one for Audi's new R8 supercar another for the next generation of Q7 4x4 and a 16-channel system for the new BMW 6 Series. Harman already provides the infotainment systems and amplification for a number of different car manufacturers, so it would seem to make sense to add B&O to its portfolio. "Bang & Olufsen is a distinctive brand that will compliment our existing premium branded offerings and strengthen Harman's position in this segment," said Dinesh C Paliwal, Harman Chairman, President and CEO. We're very interested to see where the B&O Play brand fits into deal - Paliwal promises to "rapidly grow B&O Play branded solutions in the larger mass luxury market". We assume this means you'll soon see a two-tier system in place, with Bang & Olufsen branded systems reserved for premium car models and B&O Play systems as options for cars further down the model ranges.